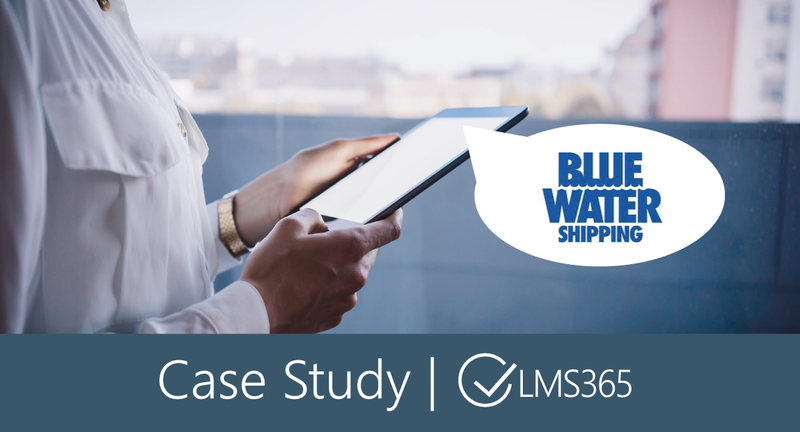 Blue Water Shipping (BWS) – a long time IBM customer – was utilizing Lotus Domino for internal email communication and collaboration. Then, in 2017 a strategic decision was made to migrate to Office 365, and the IT department was tasked with a global deployment to 1600 employees. To secure a broad adoption of the new platform a Learning Management System (LMS) and efficient eLearning materials were needed. After discovering LMS365 the BWS leadership team had no doubt that this was the solution they needed. 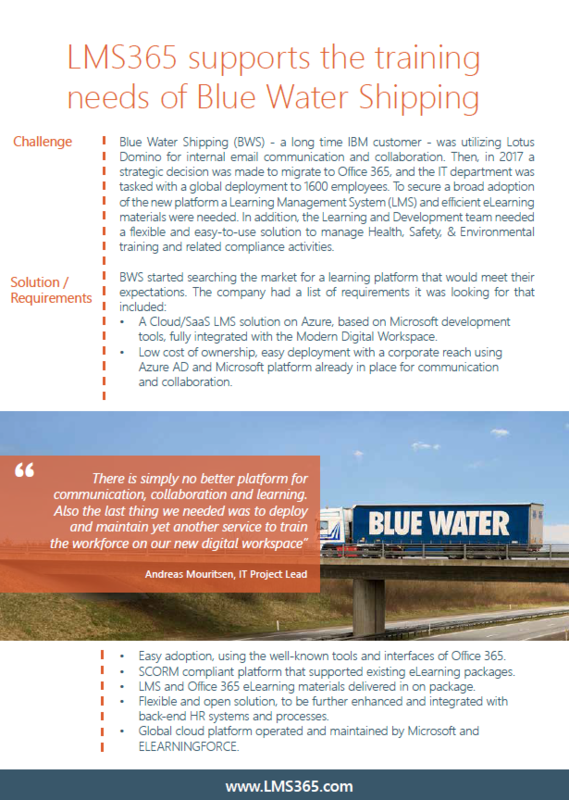 Learn about the company’s journey with LMS365 and its plans for the future.